FAMTRA Productions, LLC also offers a DJ Service. 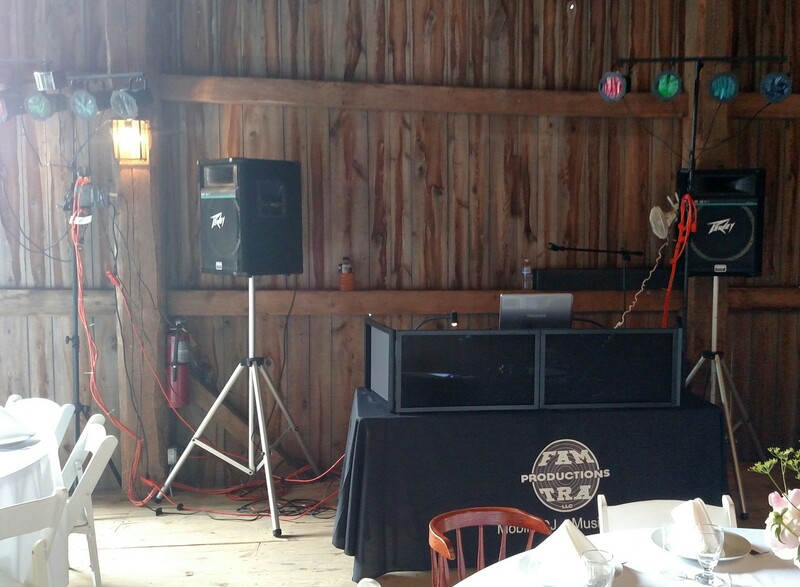 Many options are available from booking the DJ for portions of your event right along side the Live Band or alternating sets all night long or booking the DJ for the entire event. The Family Tradition band was formed in 2001. Our first public gig was in the small village of Hatley, Wisconsin where we played polkas and waltzes at St. Florian's annual picnic in July. Most of us had previously never even practiced together but that day went so well for us we couldn't stop there. With a little practice, we traveled to Wisconsin Dells, Wisconsin and played in a small tent at the entrance to the festival grounds, beckoning passing polka-fans to come and spend some time at the annual Polish Festival. Wisconsin Dells 2001 is recognized as the performance that put The Family Tradition in the spotlight. Since then, The Family Tradition has performed at many private parties, public dances and festivals in Wisconsin, Michigan, Illinois, and Minnesota. I am pleased to announce the beginning of a new era in polish-style music for your entertainment: The Family Tradition Polka Band. We look forward to meeting and entertaining all of our fans on "polka road".